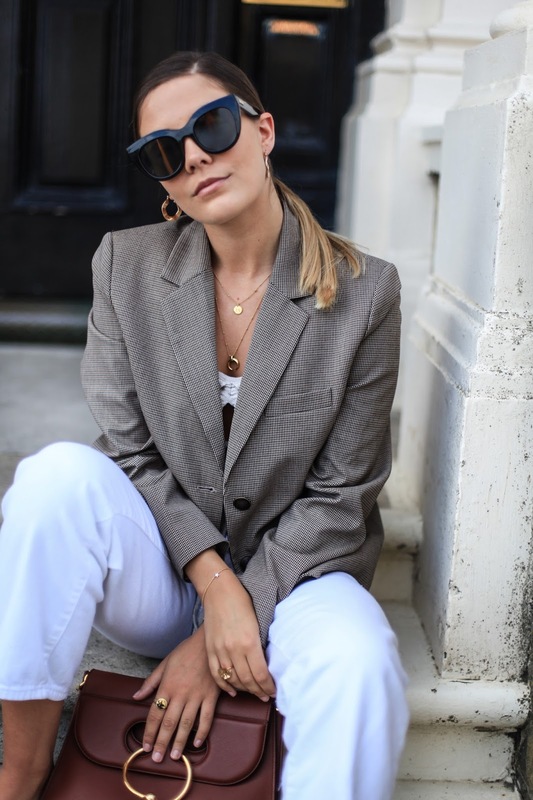 My style is very laid back, from the clothes I wear down to how I achieve my hair and make up on a daily basis - minimal effort is required and that’s exactly how I like everything to look. I’m either an up or a down kind of girl, sometimes I’ll experiment with a top knot but that’s as far as my hair styles go. Right now I’m such a fan of a sleek pony, it’s super easy to create and especially as it lets your outfit do the talking from the hair down. If you’d like to see how I create a sleek pony with only a small amount of steps and minimal effort required then you’re in luck! I’ve collaborated with TONI&GUY to show you exactly that. There is no real skill to a pony tail, it’s all in the prep! 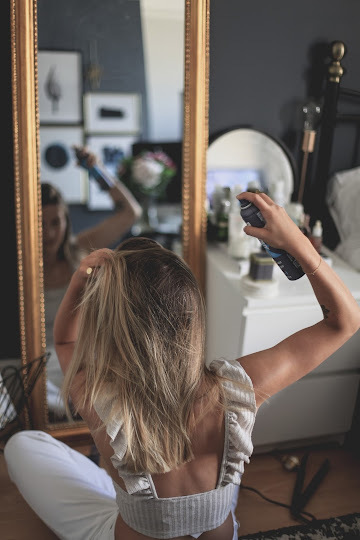 We want to start off with smooth tresses, so I like to use a shampoo to smooth and cleanse my dry and somewhat unruly hair. The TONI&GUY Smooth Definition Shampoo is great at nourishing my hair making it so much more manageable and easier to style later on. I like to give my hair a treat every now and then with a treatment mask. 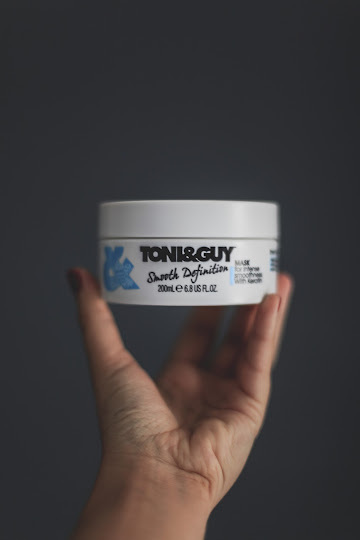 This TONI&GUY Smooth Definition Mask is enriched with keratin which is perfect for my dry hair bringing it back to life, taming flyaway and restoring my hair’s silkiness. Smooth this onto wet hair and leave for 3-5 minutes before rinsing. Post shower I apply a small amount of TONI&GUY Heat Protection Mist before I blow dry my hair all over with a paddle brush paying attention to the roots and ends. Once dry I go in with my straighteners to smooth out any kinks giving a real straight and sleek look. 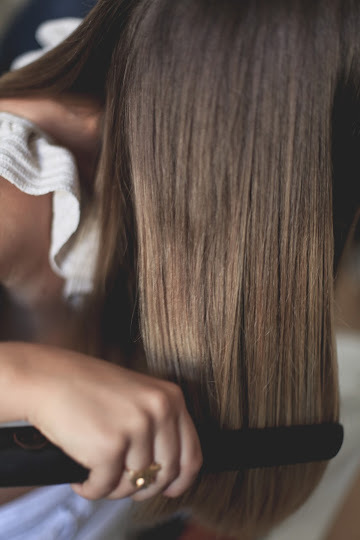 A gloss serum works perfectly through the ends of my straightened hair! The TONI&GUY Shine Gloss Serum controls frizz and flyaway for ultra smooth shine. 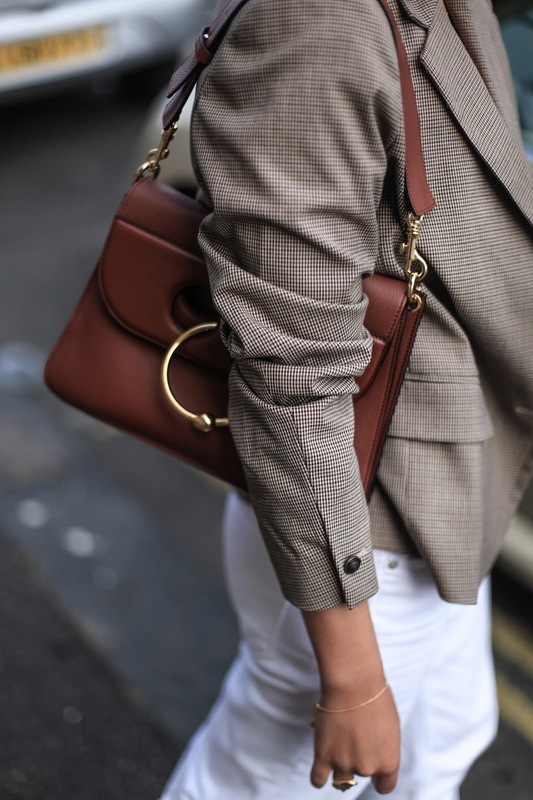 2-3 pumps of serum between your palms is the perfect amount applied through lengths and ends. 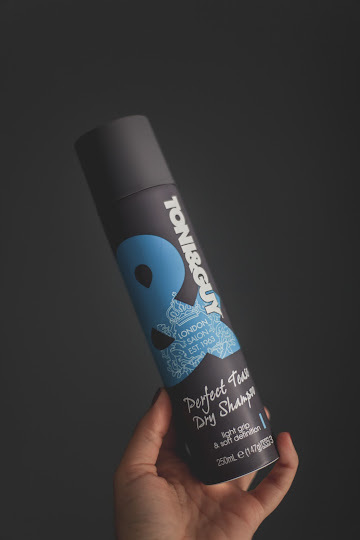 If you skipped Step One and you’ve got day 2 hair then the TONI&GUY Smooth Perfect Tease Dry Shampoo if perfect for adding texture and volume to flat and fine hair, or to make freshly washed hair more manageable. 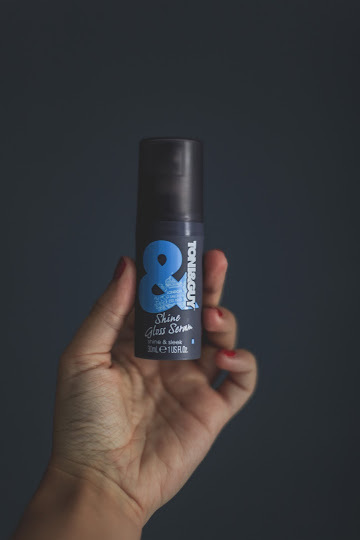 I apply the dry shampoo directly to the roots and work through with my fingers. 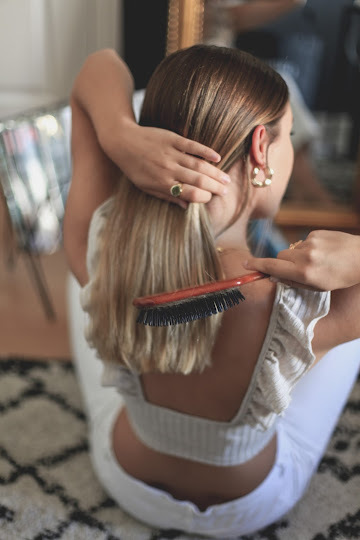 I like to use a brush to create the sleek pony, brushing through from root to end and a tie the hair in a low tail at the nape of my neck. 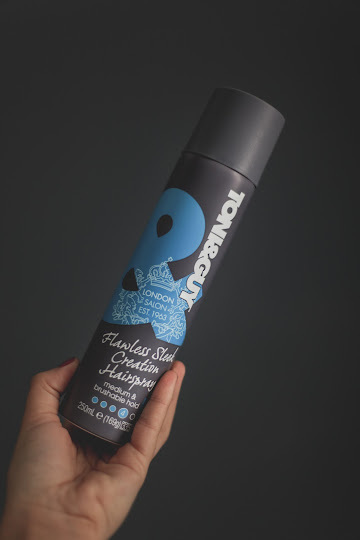 I like to finish off with a brushable hairspray, I like my hairspray to have a certain amount of hold but still give the movement I’m after and this TONI&GUY Flawless Sleek Creation Hairspray is perfect. I spray directly onto the root (paying particular attention to my baby hair!) I also like to spray directly onto my brush and brush through me ends. YES Han, loving the sleek look! !